It’s the 4th of July and you’re wondering what to serve as a side dish to the burgers, chicken or brats you’re cooking on the grill? Never fear! Grilled Rosemary Potatoes are here! -Line a large bowl (only used as a mold) with 2 layers of heavy duty aluminum foil *Note – Make sure you make them long enough to be able to fold the foil over top to enclose the potatoes. 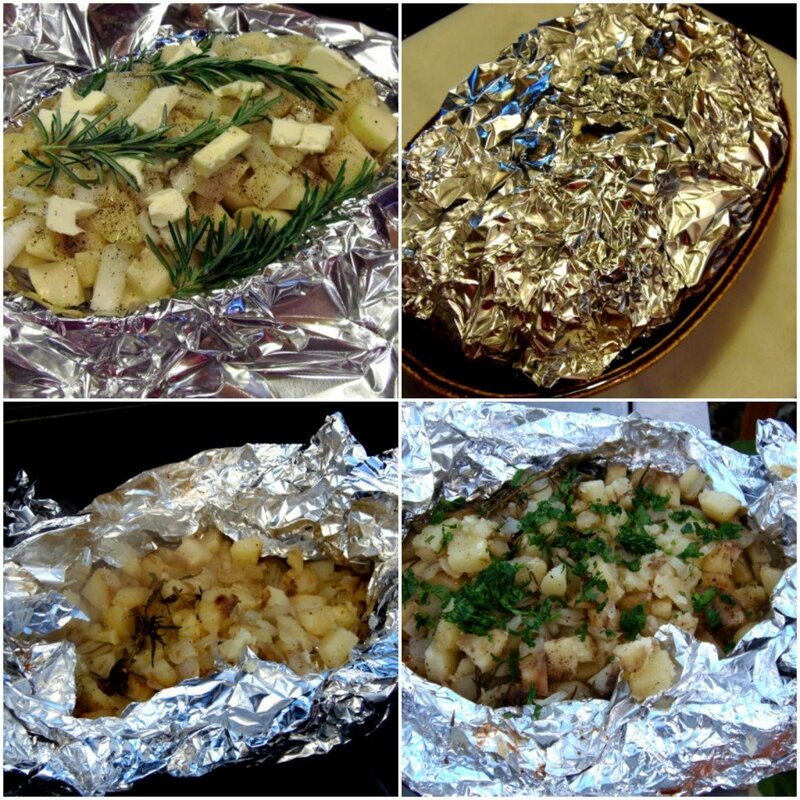 -Layer the potatoes, onions and rosemary sprigs in the foil lined bowl. -Drizzle with olive oil and season with salt and pepper. -Dot the top with the butter. -Bring the foil up and over the potatoes to form a packet, making sure you leave a small hole in the top to let some of the steam out. -Remove the foil packet from the bowl and place the packet onto a medium/high covered grill. -Cook for approximately 45-50 minutes or until the potatoes are tender. 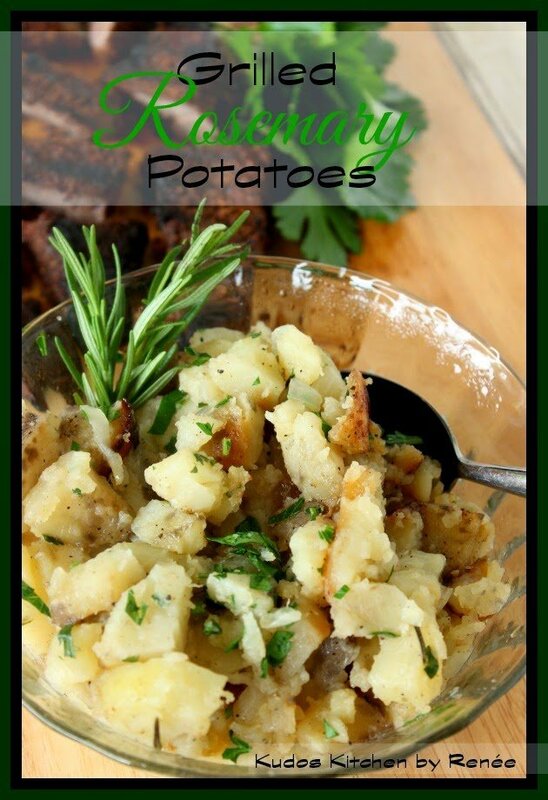 -Gently stir the potatoes, remove the spent rosemary sprigs, and garnish with the chopped parsley. 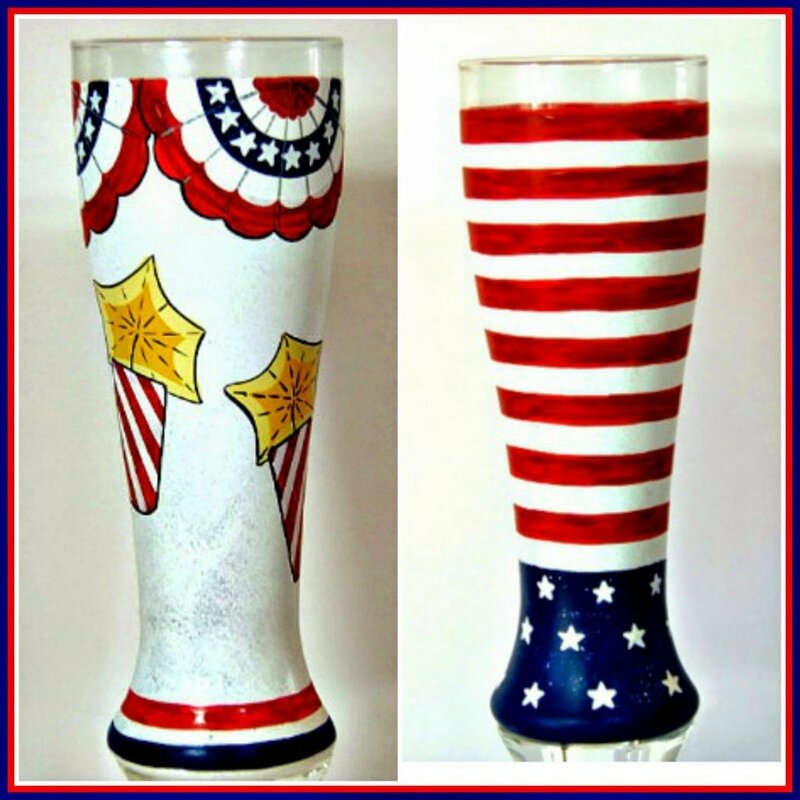 Happy 4th of July everybody!!! Go enjoy yourselves and remember to be careful out there (and leave the fireworks to the professionals)…and as always, drink responsibly! If there is ever anything I can paint for you, please don’t hesitate to contact me, or visit my shop which is located within the navigation bar. Custom orders are always welcome, and I can work from any photo or description you send my way. These potatoes look absolutely delicious! 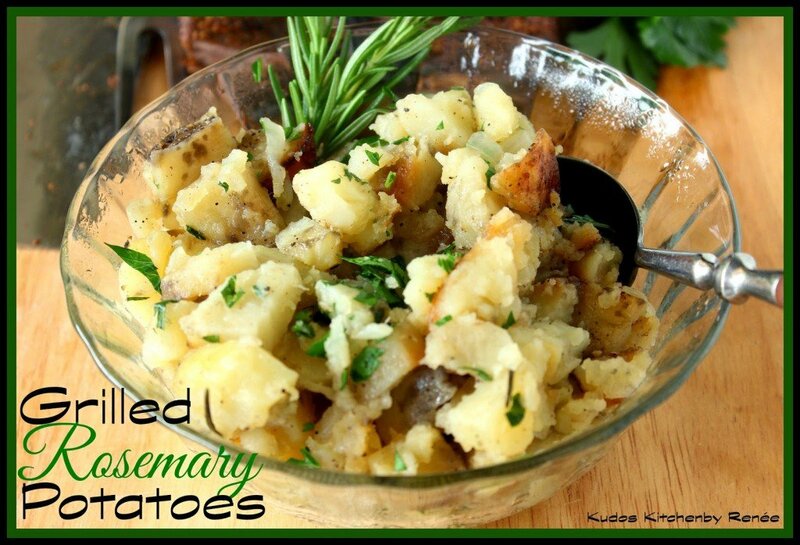 Love rosemary on potatoes!